Melissa Fleming: How Do You Make The International Community Care About The Refugee Crisis? Melissa Fleming, chief spokesperson for the UNHCR, tells the story of a young refugee who miraculously survived four days on a child's life ring after her boat was capsized in 2014. How Do You Make The International Community Care About The Refugee Crisis? < How Do You Make The International Community Care About The Refugee Crisis? Today on the show, ideas about the different ways we respond to crisis. And it's one thing when the crisis is personal, when it's about one person, but what about when a crisis is global, when it affects millions of people? MELISSA FLEMING: If you tell the story of 60 million people, everybody's just going to shut off. RAZ: This is Melissa Fleming. She's with the U.N. High Commissioner for Refugees. FLEMING: I'm the head of communications, and my job is to, you know, get people to pay attention, build bridges of empathy to people. But frankly, it's very difficult. RAZ: Difficult to wrap your head around the idea that we're in the middle of the worst refugee crisis since World War II. FLEMING: We're in the midst of a mega-crisis. Over 60 million people have been forced from their home due to conflict. RAZ: 60 million people displaced from their homes in the Middle East and elsewhere. And because it's hard to picture that many people, Melissa Fleming told the story of just one person. FLEMING: There's one story that keeps me awake at night. And it's about Doaa, a Syrian refugee, 19-years-old. She was living a grinding existence in Egypt working day wages. Her dad was constantly thinking of his thriving business back in Syria that had been blown to pieces by a bomb. And the war that drove them there was still raging in its fourth year. And the community that once welcomed them there had become weary of them. And one day, men on motorcycles tried to kidnap her. Once an aspiring student thinking only of her future, now she was scared all the time. RAZ: As the story goes on, Doaa's fiance, Bassem, convinces her they have to start a new life in Europe. So Bassem hands his life savings over to smugglers. In September 2014, Bassem and Doaa and hundreds of other refugees get onto a rickety fishing boat bound for Italy, and they're on the Mediterranean Sea for four days. FLEMING: Day four, the passengers were getting agitated. They asked the captain, when will we get there? He told them to shut up. He said in 16 hours, we will reach the shores of Italy. They were weak and weary. And soon, they saw a boat approach, a smaller boat. Ten men on board started shouting at them, hurling insults, asking them to all disembark and get on this smaller, more unseaworthy boat. The parents were terrified for their children, and they collectively refused to disembark. So the boat sped away in anger, and a half an hour later came back and starting deliberately ramming a hole in the side of Doaa's boat. And she heard how they yelled, let the fish eat your flesh. And they started laughing as the boat capsized and sank. The 300 people below deck were doomed. Doaa was holding onto the side of the boat, and she can't swim. But she started moving her arms and her legs thinking this is swimming. And miraculously, Bassem found a life ring. It was one of those child's rings used to play in swimming pools and on calm seas. And Doaa climbed onto the ring, her arms and her legs dangling by the side. Around 100 people survived initially, and they started coming together in groups praying for rescue. But when a day went by and no one came, some people gave up hope. And Doaa and Bassem watched as men in the distance took their life vests off and sank into the water. It was their second day, and Bassem was getting very weak. And he said to her, I'm sorry, my love, that I put you in this situation. I have never loved anyone as much as I love you. And he released himself into the water. And Doaa watched as the love of her life drowned before her eyes. Later that day, a mother came up to Doaa with her small, 18-month-old daughter, Masa, and she said to Doaa please take this child. Let her be part of you. I will not survive. And then she went away and drowned. RAZ: Now, incredibly after four days on a plastic life ring in the middle of the Mediterranean, Doaa was rescued. Both she and the baby, Masa survived. And Doaa was eventually resettled in Sweden. FLEMING: It's an unbelievable survival story. Every time I hear a refugee story, I think, how could you have survived that? How could she have survived four days on the water and still managed to save a baby? It's amazing story of strength, resilience and also hope and love. RAZ: You know, it's strange 'cause we talk about this thing as a crisis. Like, we talk about the refugee crisis, and it's very distant for most people in the world, right? RAZ: I mean, it's - there are many different types of people who are involved with that crisis. There are people like you who are trying to help manage it and help get the word out. And then there are people who are experiencing it, who are in that crisis, who are in the midst of it. FLEMING: Yeah. I mean, I think they finally - they've risked their lives to escape Syria. And when they finally reach their destination, all of a sudden they realize I can't relax. I'm in a foreign country, a country that I wasn't planning really for. I don't know the language. My kids don't know the language. And so they have a new crisis themselves. It's a personal crisis. FLEMING: There is something more that we can do than just simply helping refugees survive. We can help them thrive. We should think of refugee camps and communities as more than just temporary population centers where people languish, waiting for the war to end, rather as centers of excellence where refugees can triumph over their trauma and train for the day that they can go home. Not investing in refugees is a huge missed opportunity. I believe how we treat the uprooted will shape the future of our world. The victims of war can hold the keys to lasting peace, and it's the refugees who can stop the cycle of violence. RAZ: I mean, this is - there are only a few equivalent crises in the world like climate change that affects everybody, you know, that has real ripple effects because for the most part, people experience a crisis and it's confined to their family or their friends or their job or their own community. And this is something that ripples throughout the world. I mean, even though we may not be touched by it personally, we are affected by it. FLEMING: I think so. I think now what's happening is a backlash in Europe. And we see the result refugees being equated with terrorism, refugees being called economic migrants, they are to steal jobs. But it's - the more people understand or the more refugees they meet and the more they know the news story, the more they fear, actually this could happen to me. And this is the only way I think we can build the understanding. We get to know the individuals, get to know their stories, and really understand that they're not here - they didn't come to our countries because they chose to. They came to our countries because they had to. RAZ: Melissa Fleming. She's the head of communications for the U.N. High Commissioner for Refugees. You can see both of her Ted Talks at TED.com. Today on the show, Crisis and Response. 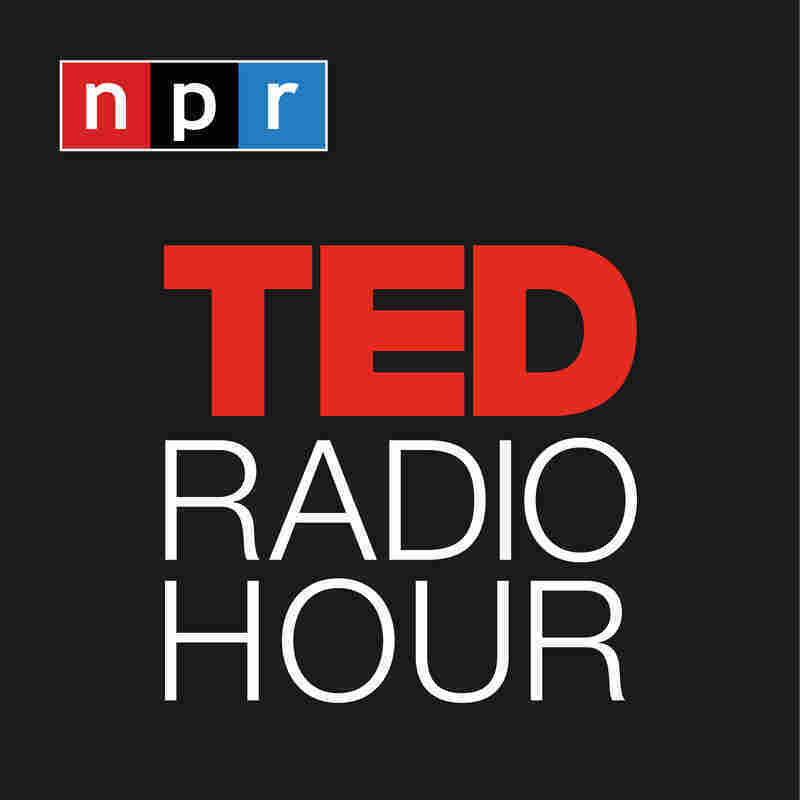 I'm Guy Raz, and this is the Ted Radio Hour from NPR.